Hi! 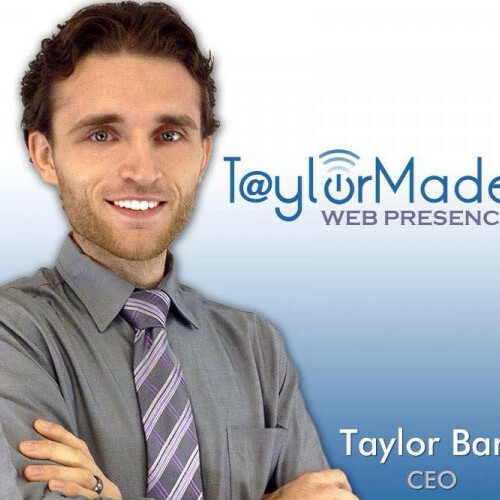 My name is Taylor Bare, CEO, Founder, and Chief Web Developer at TaylorMade Web Presence. I help authors, speakers, and consultants build their platform, get paid, and make a difference by providing tools, training, and tutorials they can use immediately and with ease even if they are non-technical and have little time to market online. I don’t want you to waste your precious time, so I am looking forward to teaching you how you can jumpstart your web presence without the ridiculous costs, the overwhelming headaches…or unnecessary delays! This is my passion. I am always learning new software, new applications, technology and new marketing strategies to serve my clients… and for fun, too.